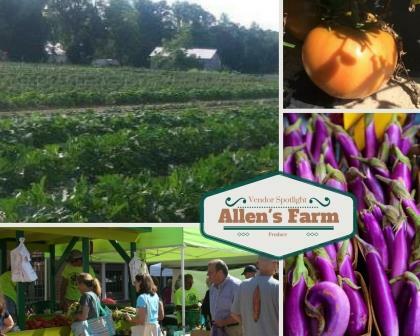 Clint Allen begins growing a wide range of produce in late winter in his three greenhouses on his family run farm located in New Kent County, VA. Later the seedlings are transplanted into the almost 100 acres that he farms. 17 of these acres have been family owned since his father began the farm in 1945. Clint grows grain and pumpkins on a large scale and his mother shells pecans from their trees to send to the market as well as working in the greenhouses. Anyone who has been to Pumpkinville in Toano has seen the fields of pumpkins that he raises.